Gita Jayanti is Celebrated on 23 December 2013. Aham twaa sarvapaapebhyo mokshayishyaami maa shucha. Gita Jayanti is observed on the 11th day of the Shukla Paksha (waxing phase of moon) of Margashirsh month as per traditional Hindu calendar. 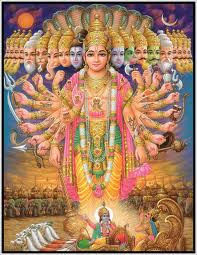 Gita Jayanti 2012 date is December 23. It is believed that the Bhagavad Gita was rendered by Lord Krishna to Arjuna on this day. Gita Jayanthi falls on the Ekadashi day of the Margashirsha month (November – December). 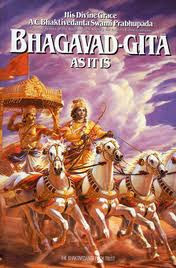 Bhagvad Gita forms a part of the famous epic Mahabharata. At the beginning of the great war between the Pandavas and the Kauravas, Arjuna, touched with pity for the possible slaughter and bloodshed of friends and relations, appealed to Krishna for guidance. Krishna had refused to take up arms on either side but accepted to become Arujua's charioteer.Then lord Krishna Gave the Knowledge of life and beyond the life to him. He told each and every thing about the life of a human being. 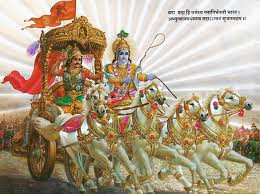 This knowledge made bright way to Arjun that time and now the people across the country adopts Gita Saar in their life. People who adopt Gita Saar in life will never get unhappy and stressed, it is said. Krishna urged Arjuna to follow his dharma or duty as a soldier and a Kshatriya, forgetting all other considerations. It immediately dispelled all his doubts and gloom, and he engaged himself whole-heartedly in the performance of his dharma. The Gita makes it crystal clear in no uncertain terms that the path of salvation lies in action performed without desiring its fruits, which should be dedicated at God's lotus feet. This is real nishkam karmayoga, which leads to attainment of true happiness, peace of mind and freedom from passions. By devoted actions, without attachment to their results, one gets ones desires uprooted, and finally attains perfect serenity of soul and quiescence in the Supreme Soul at the time of death. On the Gita Jayanti day, the Gita is read, recited and discourses are held on its various philosophical aspects People fast and worship Krishna and the Gita, and resolve to study and imbibe the spirit of Gita with far greater efforts. 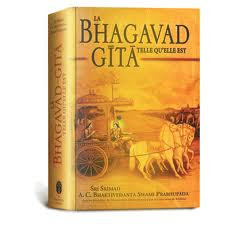 As a matter of fact, a pocket edition of the Gita must always be kept, and its selected verses repreated whenever there is such an opportunity, because the more we study it, the more enlightened we are. The day is observed with the reading of the Bhagavad Gita, followed by discussions and seminars by eminent scholars and Hindu priests to throw light upon the various facets of the holy book and its perennial influence on humankind for generations. Hindu temples, especially those dedicated to Lord Vishnu and Lord Krishna, conduct special prayers and pujas on this day. Devotees and pilgrims from all over India gather in Kurukshetra to take part in the ritual bath in the hallowed water of the sacred ponds - Sannihit Sarovar and Brahm Sarovar. A fair is also organized that lasts for about a week and the people participate in prayer recitals, Gita reading, bhajans, aartis, dance, dramas, etc. Over the years, the fair known as Gita Jayanti Samaroh has gained immense popularity and a large number of tourists visit Kurukshetra during the event to participate in this sacred gathering.